If you have an Eastern Georgian Bay Business and wish to advertise on this Ontario Cottages page, please contact us below. 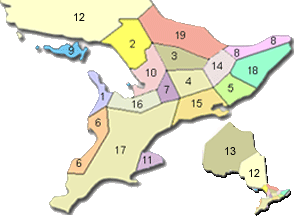 The Parry Sound area is known for it's hundreds of lakes and rivers as well as the Great Georgian Bay and the famous 30,000 islands.  A high concentration of rivers, streams, lakes, and of course the Great Georgian Bay. Ontario Cottages welcomes you to this site! If you are looking for a cottage to rent, buy or sell in Ontario this is the right spot. Simply click on the top buttons for the listings complete with a search feature, mostly private listings by cottage owners or cottage resorts. The upper right banner represents advertisers, private cottages, resorts, cottage related activities like houseboat rentals and on occasion a real estate agent or agency finds it's way here. RENT or BUY a private Ontario Cottage or vacation property, click on either of the "Rent or Buy" buttons to start your Ontario Cottages Search! Post your Ontario Cottage or vacation property for rent or sale, click on the "List" Button..
Attractions, right column, will lead you to activities, events, and points of interest that selected areas offer vacationers within Ontario Cottage Country. Pricing for Cottage and Resort Owners: advertise on Ontario Cottages by selecting the List Button to see the details and rates for the listing service and for banner advertising or click here.